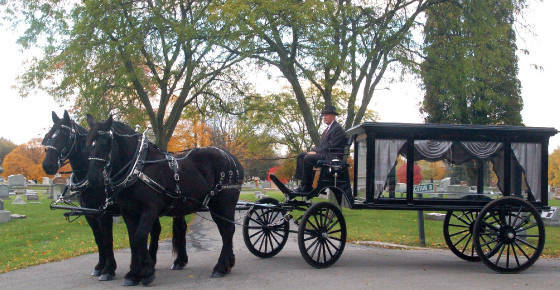 Indiana Carriage provides horse drawn funeral service within a 100 mile radius of Indianapolis. 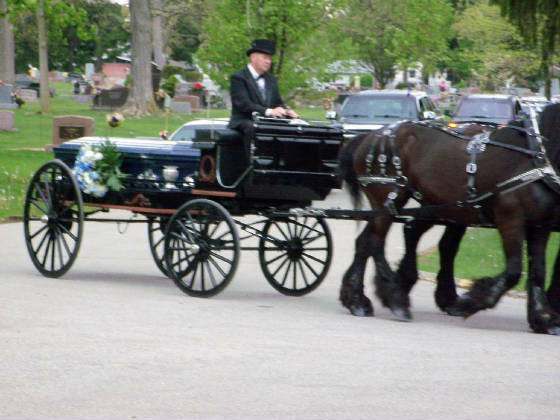 We offer a choice of a horse drawn hearse or caisson. We are happy to work directly with families or with your funeral director. You can learn more about our horse drawn funeral hearse or caisson by clicking the link or one of the photos. We offer our services free of charge to the families of service men/women killed in the line of duty. This is for armed services, police and fire fighters. Please see the www.indianahorsedrawnfunerals.com website for more information. Horse Drawn Service free to service men/women.